The last decade ushered in 10 of the 12 costliest natural disasters in history, and yet the property-casualty industry is not facing anything that might be described as significant financial stress. With $94.2 billion in insured CAT losses, 2005 ranks as the worst year on record. Healthy surpluses prevented rates from rising as much as they might have otherwise after Superstorm Sandy. A gradual growth of the GDP—about 2.7% annually through 2014—should be good news for insurers. From 2002 to 2012, average CAT losses were $21.5 billion annually. This includes the worst year on record, 2005, when hurricanes Katrina, Wilma and Rita accounted for the lion’s share of the $94.2 billion in insured losses. And even when Superstorm Sandy hit the Northeast last fall, the industry took it in stride. Historically, so much turmoil would have sent the industry into a tailspin and rates through the ceiling—but no more. But by March 2013, five months after Sandy, the property-casualty industry had an unprecedented surplus of $607.7 billion, according to the Insurance Information Institute (I.I.I.). In fact, some insurers are sufficiently capitalized to pay more CAT losses and rely less on reinsurance as backup, says Frank Nutter, president of the Reinsurers Association of America. A record-breaking reinsurance surplus explains why the industry seeks to deploy its robust capital position by finding new risks, including the National Flood Insurance Program, to reinsure all over the world, Nutter says. Higher-than-average natural catastrophe losses, especially in 2011 and 2012, only partly explain why property-casualty losses have risen since 2011. The economic downturn that began in 2008 delayed price increases until 2011. Since then, premiums have been rising, even in the double-digits, and so are deductibles. Changes in investment strategy also explain why property insurance rates could begin to subside, experts say. The financial crisis caused property-casualty insurer investment gains to fall by half, according to the I.I.I. Investment income also had a direct bearing on prices. 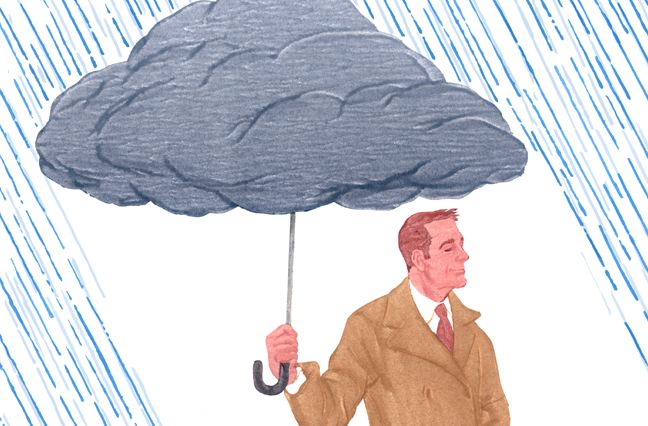 Since insurers were experiencing low returns from traditional investments, underwriters were pressured to raise premiums to make up the shortfall, says Bryon Ehrhart, chairman of Aon Benfield’s investment banking group. Due to various global economic stimulus programs, returns on conventional asset classes have been driven so low that alternative investments, such as catastrophe bonds and collateralized reinsurance, have become more attractive. “We have never seen, in 300 years of insurance and reinsurance history, the convergence of low interest rates allowing investors to provide terms competitive with the levered and rated insurance and reinsurance business model,” Ehrhart says. And capital to write reinsurance is climbing, attracting pension funds, high-net-worth individuals, endowments and even some large property-casualty carriers. The reinsurance industry’s historically high surplus reached $515 billion during the second quarter of 2013. Most recently, interest rates paid to CAT bond investors have declined 40% year-on-year, Ehrhart says. This reduces the cost of reinsurance for insurers, which should help reduce pricing pressure on clients. “The recent catastrophe-driven strength in property rating is likely not long-lasting for both commercial and personal property lines once these reinsurance cost savings are driven down to the consumer,” Ehrhart says. If there are no significant CAT events this year, Mathewson says, the reinsurance market might soften considerably. Looking to the future, that’s the industry’s big “if.” “The non-hurricane losses to date in 2013 have been significant but far lower than the levels insurers experienced in 2011,” Ehrhart says. The third quarter is traditionally the most expensive for natural catastrophe losses, says Robert Hartwig, I.I.I. president. Weather experts are warning that more damaging losses are on the way. “The predictions are such events will occur [and] their cost is likely to continue to rise,” Hartwig says. Experts doubt that the reinsurance surplus bubble will burst. Nutter says it would also require significant worldwide losses occurring in a short amount of time. Reinsurers have a lot of writing discipline, the rating agencies and regulators have been assertive about capital positions and risk, and reinsurers have a long history with a long-term view, Nutter says. Meanwhile, a gradual growth of the GDP—about 2.7% annually through 2014—should be good news for insurers. “The resumption of growth, albeit modest…affords insurers the opportunity to expand their client base,” Hartwig says. 05Could Flood Insurance Go Private?